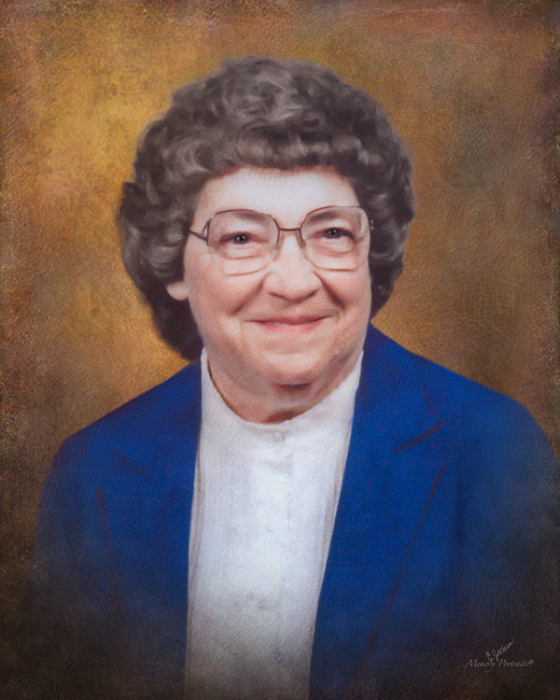 Marethea Elizabeth “Betty” (Watkins) Davis, 87, of Princeton, passed away Saturday, February 9, 2019 at River Oaks Health Campus in Princeton. She was born October 4, 1931 to the late Samuel and Marethea Elizabeth (White) Watkins in Francisco. She retired from the Credit Bureau where she had worked for many years. She was a member of Columbia General Baptist Church in Princeton, where she served as a Sunday School Teacher and a Deacon's wife for many years. She was also a member of the Salvation Army Ladies Auxiliary, and she loved to travel. Betty is survived by three sons and daughters-in-law, Steven Ray Davis and Denise of Owensville, Daniel Lewis Davis and Janet of Homer Glen, IL, and John Dale Davis and Debbie of Princeton; 7 grandchildren, Ryan, Erik, Mark, Carla, Misty, Lance and Logan; 14 great grandchildren; 2 siblings, Donna Wirth (Les) of Princeton and Sam Watkins (Jonnie K.) of Francisco. She was preceded in death by her parents; step-mother, Alice Tyree Watkins; a sister, Linda Watkins; a brother, George Watkins; and her husband of 50 years, Roy Davis in 2001. A Funeral service will be held at 1 p.m. Wednesday, February 13, 2019 at Colvin Funeral Home in Princeton, with Pastor Pete Coble officiating. Burial will follow at Columbia White Church Cemetery in Princeton. Visitation will be from 4 until 8 p.m. Tuesday, February 12th at Colvin Funeral Home. Memorial contributions may be made to the Salvation Army, 206 S. Gibson St., Princeton, IN 47670. Envelopes will also be available at Colvin's. You may leave a message of sympathy or light a candle in memory of Betty at www.colvinfuneralhome.com. Colvin Funeral Home is honored to serve the Davis family.